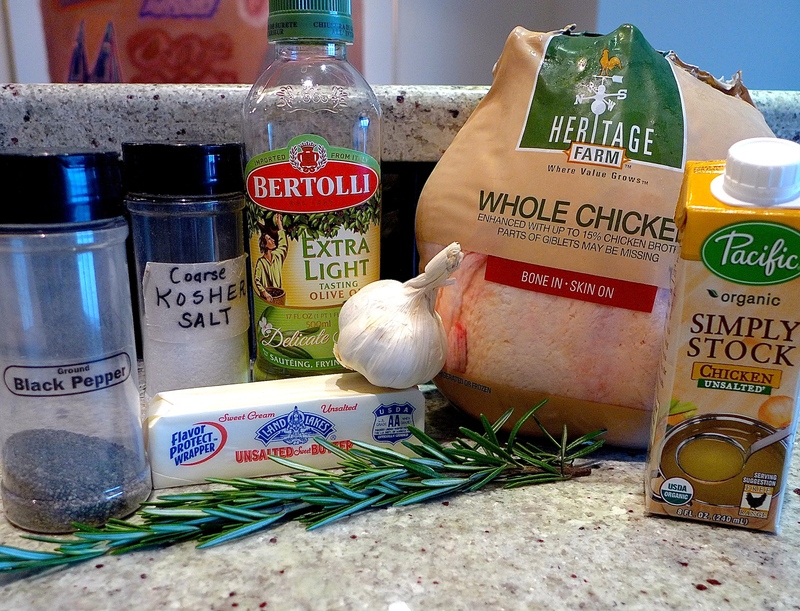 Add Braised Chicken with Rosemary to your cooking rotation and discover the easy way to coax big flavors out of this simple, delicious chicken dish. Braising is a combination technique. First you lightly brown or sauté the outside of the chicken or meat, then continue cooking it in a little liquid in a covered pot over low heat. Braise translates to live coals, over which pots of slowly cooked meats were placed in mid-eighteenth century France. Gone are the days of cooking over live coals (unless you’re camping), but braising is still one of the best and simplest ways to create deeply flavored, tender meat. Slowly simmered with broth, rosemary and garlic, this easy to prepare braised chicken with rosemary lives up to its humble French beginnings and a master chef’s high expectations. 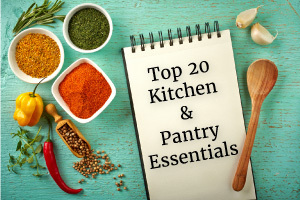 If rosemary is not your thing, try another herb or pair of herbs such as thyme and or oregano. You can also substitute dry white wine for part or all of the broth. The most important part of the recipe is learning the sautéing and slow cooking method. Then you can play around with the combinations of herbs, spices and liquids. If you like to add vegetables, you can add in some sliced raw carrots, celery, etc… towards the last thirty minutes of cooking time. Cut chicken into quarters or buy it cut up at the store. Saute chicken on both sides to a deep, golden brown. After sautéing, pour off most of the accumulated oil to keep the broth from getting too greasy. 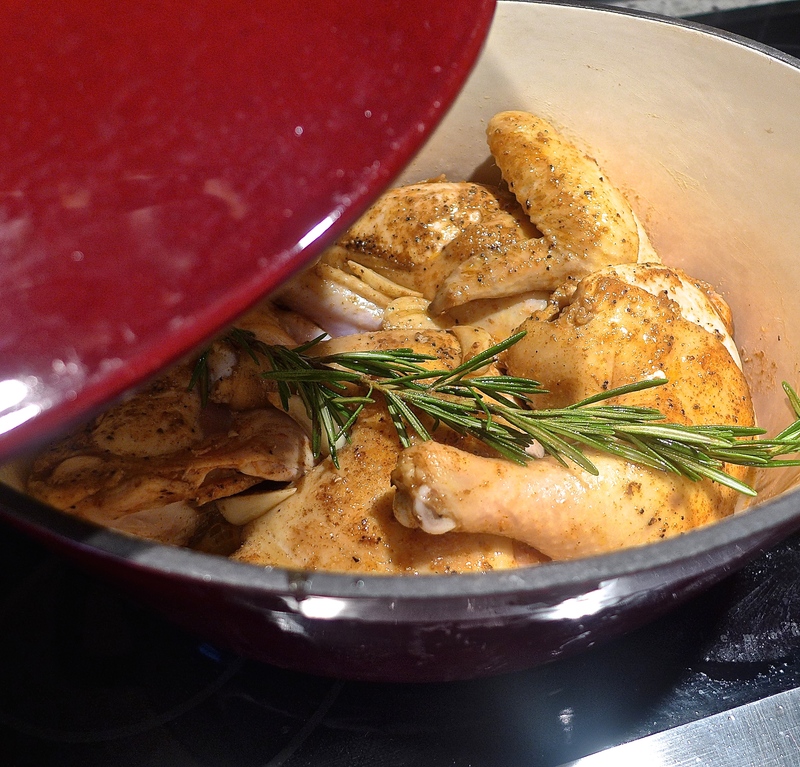 Use a deep pan with a lid or transfer to a lidded pot to slow cook the chicken. Add in broth or wine and herbs and bring to a boil. Reduce to a simmer and cover for forty to fifty minutes. 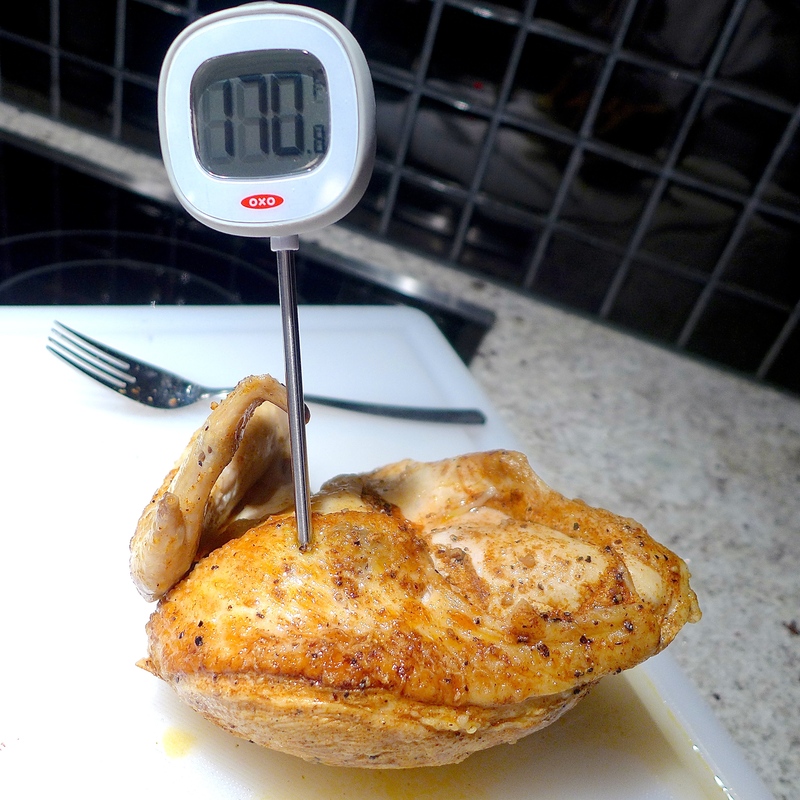 Use a meat thermometer to check for an internal temperature of at least 165 F or higher. Serve straight from the pot with crusty bread (to soak up the sauce) and a tossed green salad. 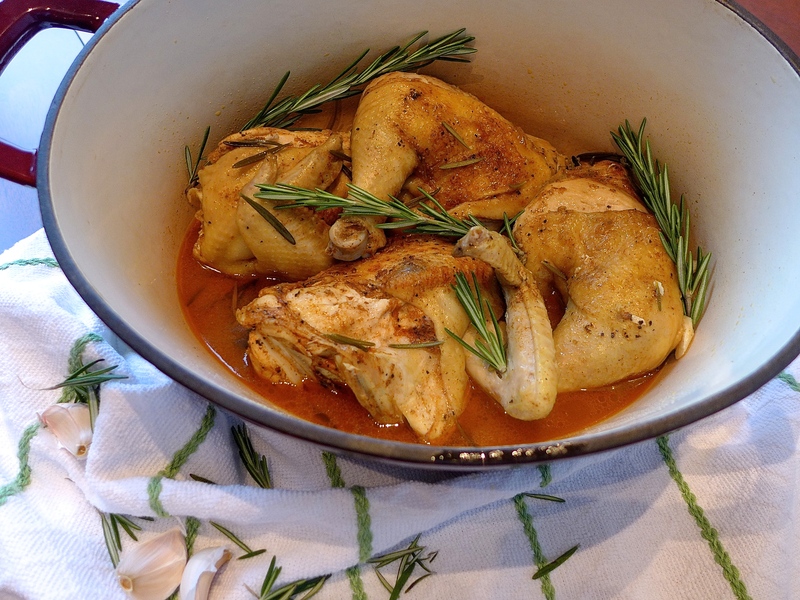 Dig in to Braised Chicken with Rosemary: there’s a whole lot of love and a whole lot of a flavor in this slow cooked dish! 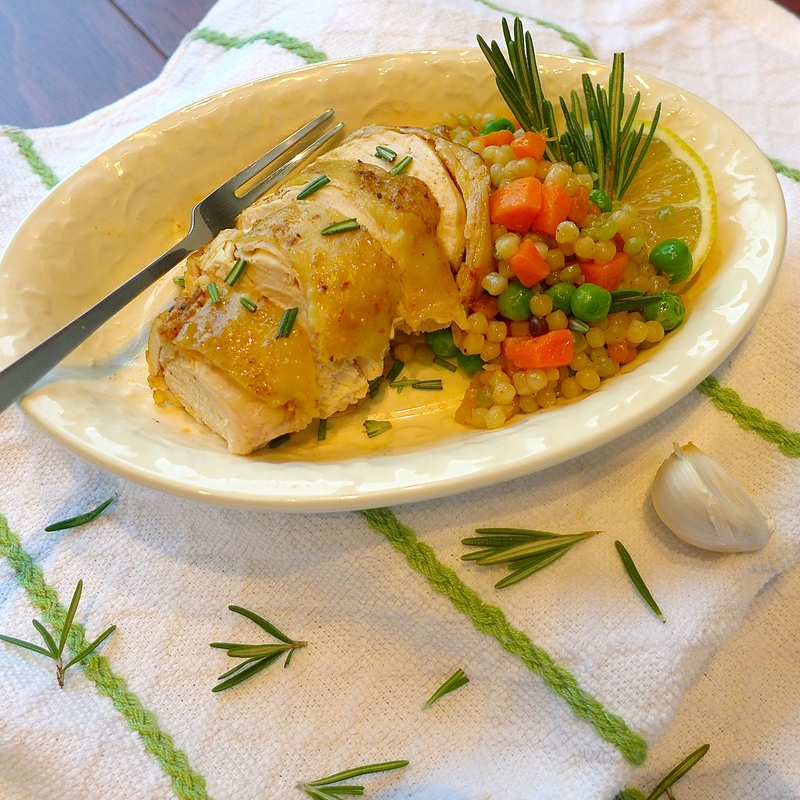 Fill the house with the scent of fresh rosemary with this flavorful, braised chicken. Simply brown and simmer in chicken broth or white wine for a truly elegant meal. Season chicken: Place dried chicken pieces on clean paper towels in the kitchen sink. Pour olive oil on chicken pieces and rub both sides with paprika, salt and pepper. 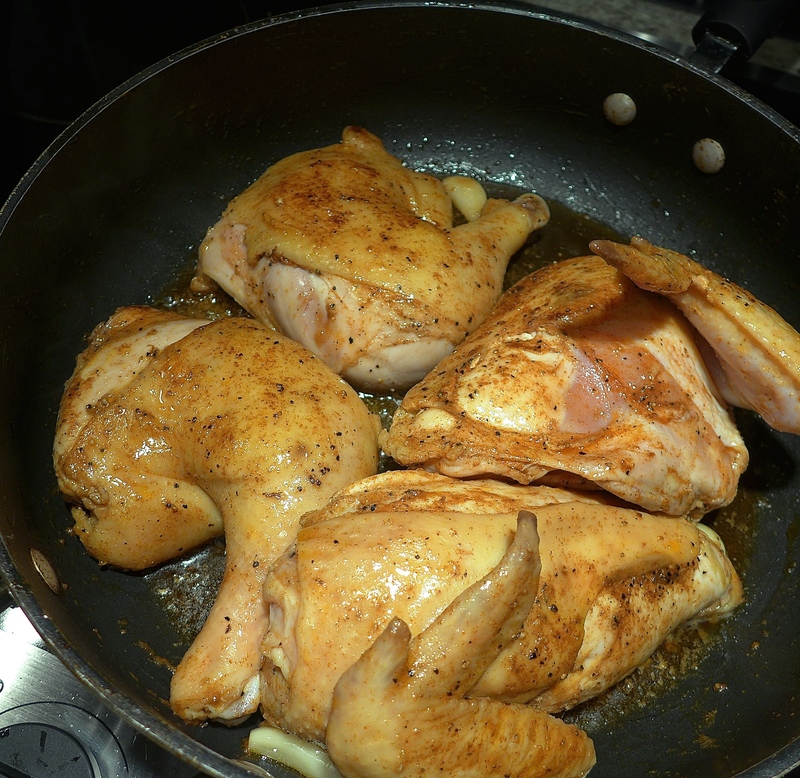 Brown chicken: Heat butter and garlic over medium heat in a large shallow frying pan (with a lid). When the butter sizzles, add the chicken pieces. Brown one side about 5 minutes. Use a wide spatula to turn chicken pieces over carefully and brown the other side until the chicken is deeply colored all over. Pour off most of the accumulated oil before adding the liquid to avoid a greasy sauce. 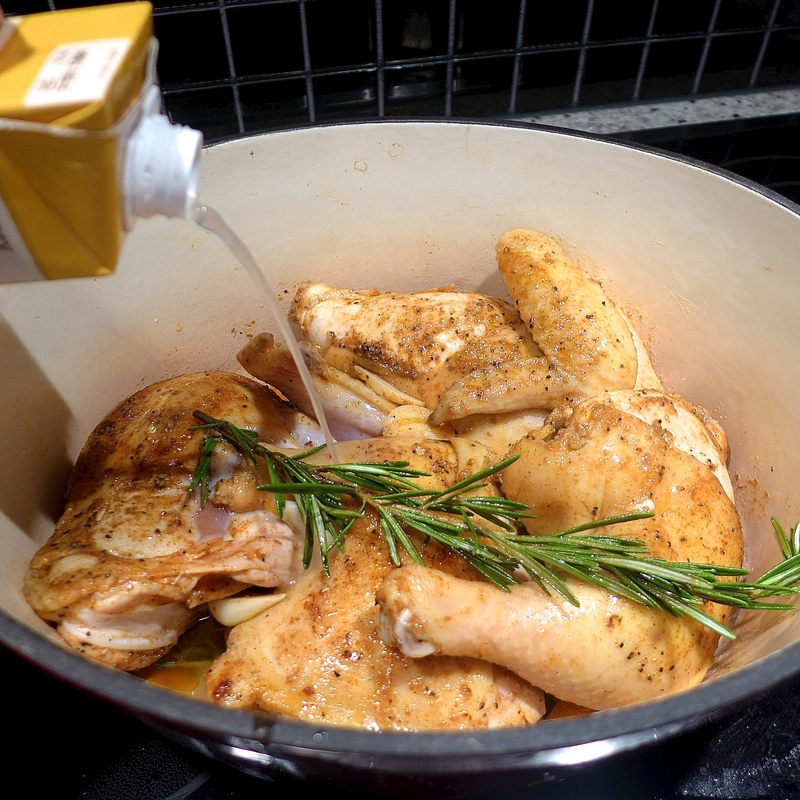 Braise chicken: Add the rosemary and the broth or wine and bring liquid to a boil. Then reduce to a simmer on medium low heat and cook, covered about 40+ minutes, until chicken is very tender. Check for doneness (165 F or higher) with a meat thermometer. When all the pieces are cooked through, remove from heat and let rest, covered, ten minutes or more before serving. Strain the sauce (pour off some of the fat) and serve with the chicken. Serve with crusty bread or grain of choice such as rice or couscous. Add a green salad or simply steamed vegetables, such as broccoli or green beans. Trying this as one of my main dishes this Pesach!